You know that heart-stopping moment when you can’t find your keys or your wallet? We’ve all been there. There are some things in your EDC that are too important to misplace. The Tile has been a go-to for anyone looking to keep track of their most prized possessions, and the new Tile Pro Sport adds a durable build and improved connectivity making it even more practical. You expect your EDC gear to stand up to wear and tear, and now the Tile can too. 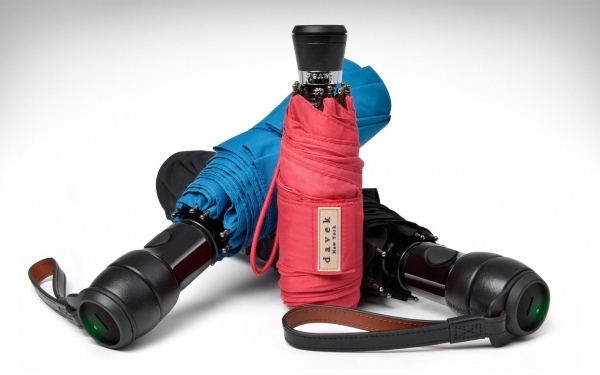 Its new fully waterproof build means it can you can submerge it for up to 60 minutes in 1.5 meters of water without damaging it. Hopefully you won’t have to go wading through knee-deep water to find your gear, but better safe than sorry. It also comes with an improved Bluetooth signal giving it twice the range of the original. If you’re within 200 feet of the item you can press a button in the app that will play a loud tone until you find it. Forgetting it somewhere out of Bluetooth range shouldn’t be a problem either because you can still locate it via the map in the app. Then just play the tone once you get within range. And if it’s your phone that you’ve lost, it works just as well in reverse. Double tapping the button on the Pro Sport will cause your phone to ring so you can find it, even if it’s on silent mode. All this in slim, compact package that slips nicely into your wallet or easily attached to a keyring. If you’re tired of misplacing your most important items the Tile Pro Sport is a great way to start keeping track of things you’d rather not replace. You can also pick up a two-pack for you and your most forgetful friend. Make sure to click the link below to check out the latest and greatest from Tile. When you rely heavily on your daily set of tools, it makes sense to get the most durable gear available. But for many of you, your most essential tool is your laptop. And let's be honest, they're more expensive and fragile than the rest of your EDC. So if your kit revolves around your laptop and tech gadgets, it pays to protect those investments in a well-organized bag. 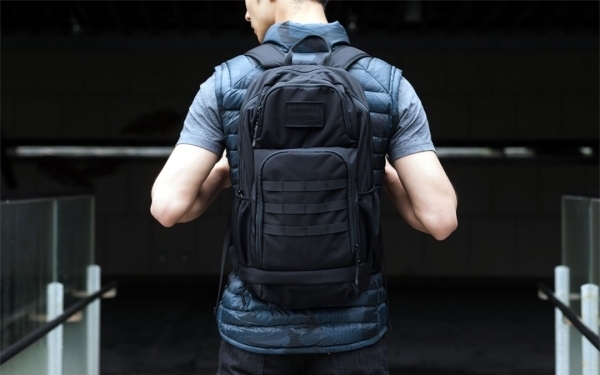 CargoWorks have been making durable packs with your laptop in mind, and their newest Recon 15 brings tactical bag features to your highly connected, on-the-go lifestyle. Like a traditional assault pack, the Recon 15 sports a narrow profile for added mobility in the city. Despite its slim silhouette, it manages to pack in 8 external pockets and 10 internal pockets with enough room left for a 15” laptop and tablet. And with all those pockets, it's impressively easy to access your gear, thanks to thoughtful pocket placement on the outside of the bag. For example, you've got three zippered compartments within arms reach without even having to take the bag off: one on the shoulder strap and one on each “wing” of the supportive hip belt. With the bag off, you can get to your gear quickly via a top-access dump pocket, a fully organized admin panel in the front, and a bottom pocket for bulkier accessories. 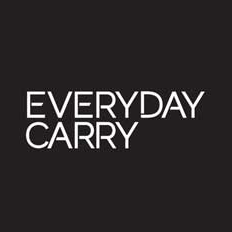 A small MOLLE grid on the front of the bag gives you even more ways to carry. Durable materials like 500D Cordura nylon and YKK zippers bring a heavy-duty feel to the bag, but its empty weight of 2lb makes it a comfortable EDC. You can grab one from Cargo Works at their website via the link below. As EDCers, we carry a lot of stuff to be prepared. Out of your whole kit, your phone is probably the one thing you have with you at all times. And with new phones getting bigger, they start taking up all the space in your pocket. But that doesn't have to mean you're left with less space for your essential gear. Klecker Design's latest line of tools—called Stowaways—pack the most utility into your your phone's real estate. They're bite-sized versions of useful everyday tools, and by integrating specially-shaped slots into your phone's case, you can swap out Stowaways depending on your needs. There are 13 Stowaway tools to choose from, from locking pliers to folding pens and knives, to bottle openers and bit drivers. 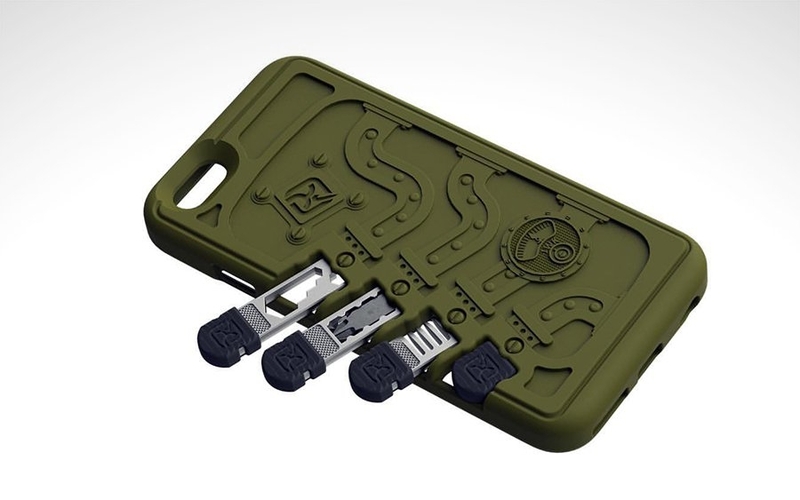 With the 4 slots on the phone case, that means dozens of combinations to suit the day's loadout. Even better, you don't have to commit to the case itself. The Stowaways are compatible with popular key carriers like the KeyBar or KeyBiner, giving you additional options to streamline your kit. There's only a week left to back your choice of Stowaways, so click on the Kickstarter link below to start doing more with less in your pockets. 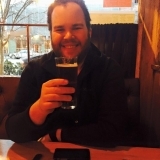 This is a sponsored post presented by Klecker Knives & Tools. The best camera is the one you have on you, and that usually means your smartphone. 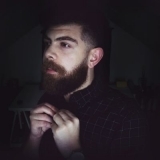 The thing is, even with the newest phones, proper lighting will always be an issue. It's the key to good photos. And that tiny flash on most phones? It just won't cut it, not to mention it'll drain your already scarce battery life even more. With the FirePak, SureFire's got you covered—to the tune of 1,500 lumens. It's the smartphone accessory you need to get the most out of your camera. Using two high-performance LEDs paired with specially designed reflectors, those 1,500 lumens completely cover a 16:9 frame up to 50 feet for up to 1.5 hours, ensuring that you capture is well-lit. That means no more dim, grainy photos from last night's party or unwatchable videos from that weekend camping trip. 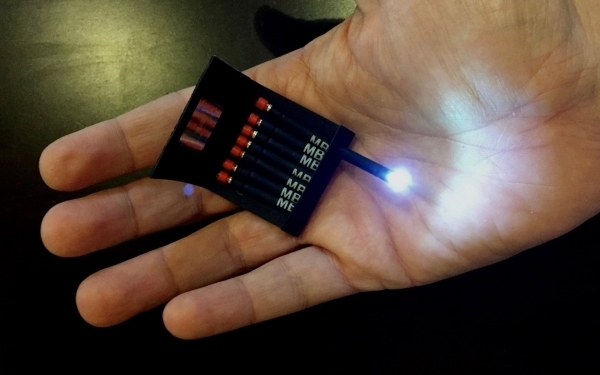 The best part: unlike your phone's built-in light, the FirePak doubles as a portable battery. 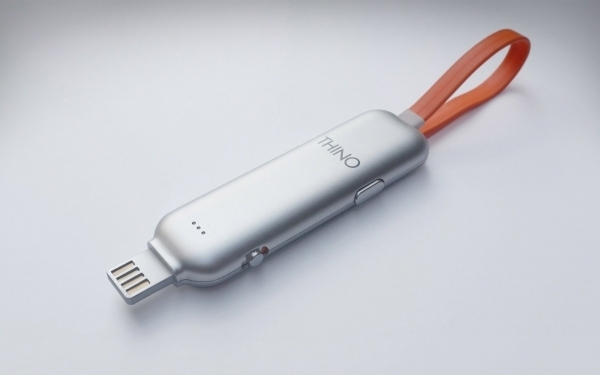 It packs enough capacity to charge most smartphones up to 1.5 times, letting you finish recording that crucial footage. You can either attach the FirePak to your iPhone 6/6S and Galaxy S5 using a special SureFire case, or use it as a standalone light to work with your other cameras and mobile devices. Its four output levels can also be controlled manually or remotely via a free Bluetooth app. This last feature also opens up the possibilities with the FirePak; after all, 1,500 lumens is a lot of power. Being able to remotely control a high-performance, floody beam means the light becomes useful for general everyday tasks, like navigating around the house in the dark or going for evening walks. No more dimly-lit campsites ever. 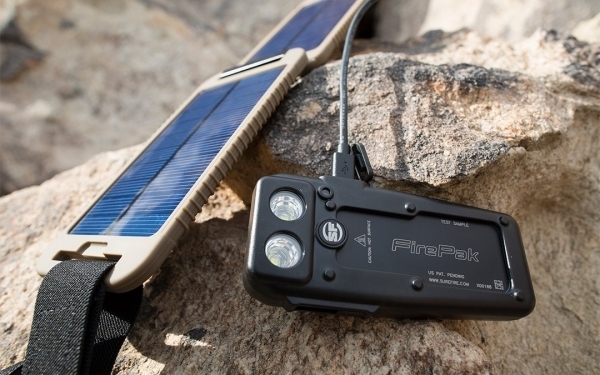 The FirePak's power and charging function also lets you save some pocket space, since you wouldn't need to carry a separate flashlight or battery pack, crucial if you're already carrying a lot of gear. Even the best low-light mobile cameras are no match for the firepower of the FirePak. Pick one up at the link below and never miss out on capturing your best moments, even in the worst lighting you find yourself in. Pouches are a useful way to carry a large number of small items, but anyone who’s dug through a tangled up ball of cables knows they aren’t perfect. The EasyAcc JHUN Travel Cable Organizer stores your accessories without the tangled mess, making it the alternative you could be looking for. This sturdy polyethylene board is coated with double-sided anti-skid rubber and a number of criss-crossing elastic straps of various sizes, perfect for holding a variety of small cables or objects. At 10.9 inches by 9.5 inches, it easily fits into any laptop bag or backpack and even has a sleeve large enough for a standard tablet or ultrabook. 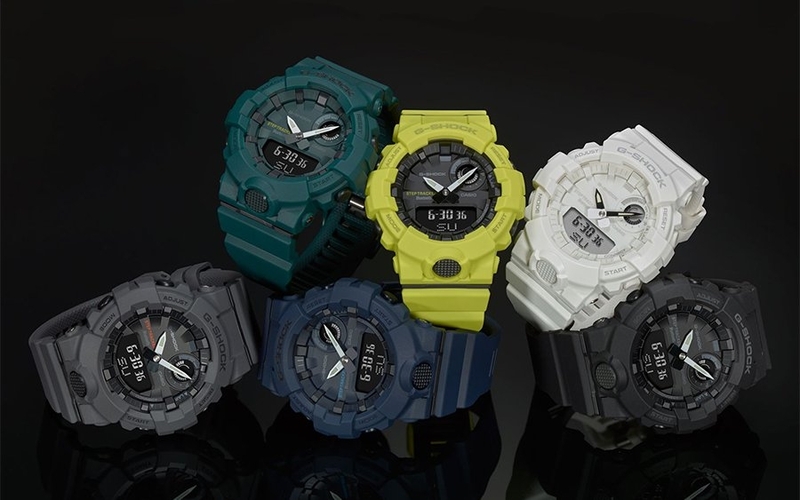 Its nylon-cotton surface also better protects your delicate devices on the board and whatever else might be in your bag. If you need a way to easily pack and carry your small essentials without having to root around in the bottom of your bag, check out this cable organizer at the link below. Mobile phones and other electronics are now an essential part of everyday life, but their batteries leave much to be desired. 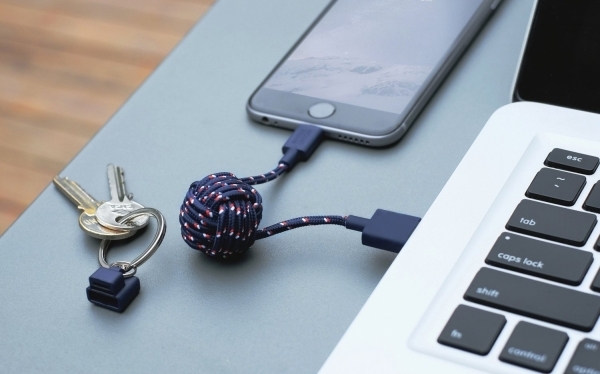 A smart way to make sure your devices are always juiced up when you need them to be is to carry a small charging cable, like the KEY Cable from Native Union. 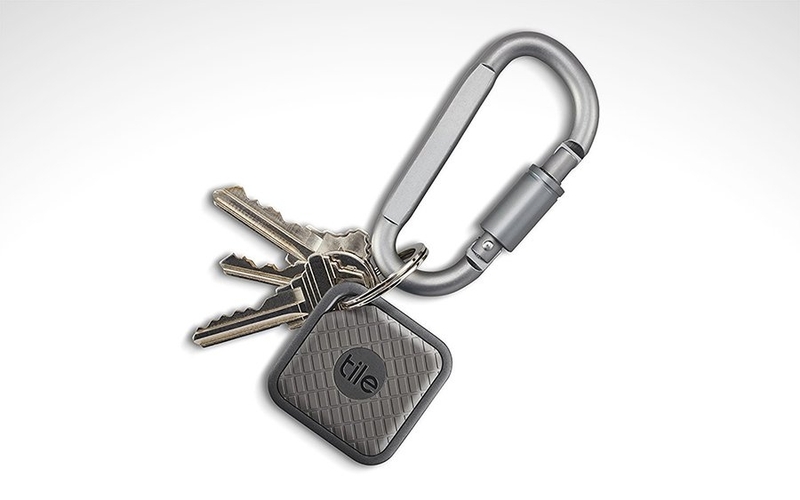 It’s designed to ride on your keychain, so you’ll always have a cable when you need to recharge. Its compact design gives you the best of both worlds: it’s short enough to easily carry, but long enough at 6.5” when open to let you use your phone while it’s charging. The KEY Cable comes in two models: an Apple-certified lightning connector and another with a micro-USB connector. The cable itself is made of a durable braided nylon, tied in a monkey fist knot—useful for defense against tangled wires. The KEY Cable is now available in a fresh new nautical edition (shown above), with a red, white, and blue pattern that’s perfect for summer, on the Native Union website. Check out more colors of the KEY Cable at the link below for a simple, stylish way to keep your devices out of the red. How many years have you shaved off your life from the stress of losing your keys or having your phone die on you at the worst possible time? If those things happen to you often, get it together. Or, you can look into the CoalBit. 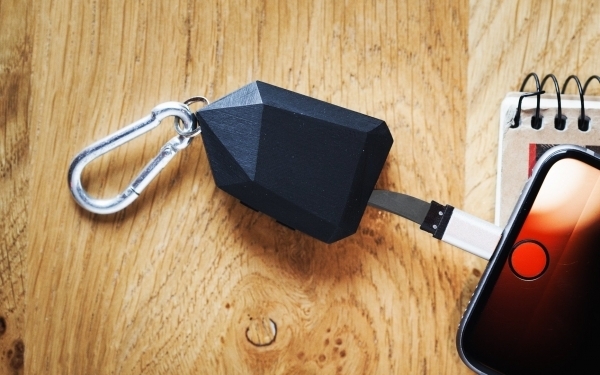 It’s a tiny keychain gadget that packs a power bank, Bluetooth tracker, and mini flashlight into what looks like a lump of coal from the future (but way more useful). While its 560 mAh capacity isn’t exactly a full tank, it’s enough to bring a dead phone back to life in a pinch. 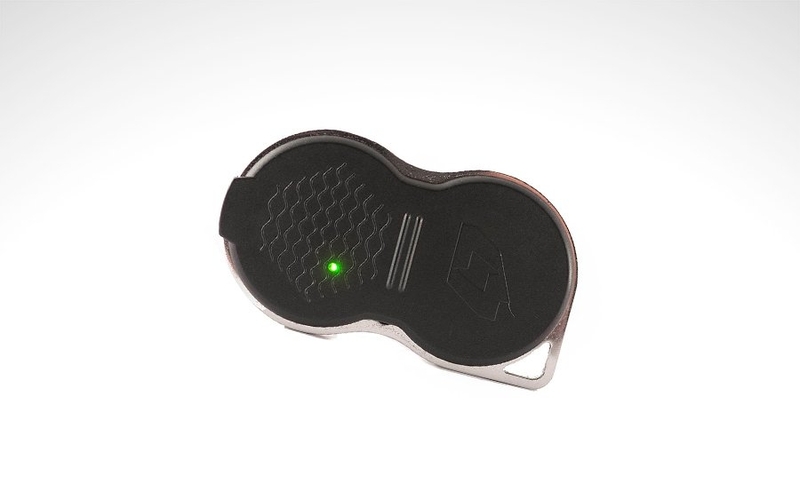 The CoalBit also houses an integrated micro USB or Lightning cable and an LED battery indicator that doubles as a mini flashlight. Lastly, its Bluetooth locator capability syncs with your phone so you can keep tabs on both devices. The CoalBit project is still seeking funds on Kickstarter, so back it at the link below to turn this diamond in the rough into your next keychain staple. Earbuds, charging cables, and other wires can be a hassle to carry. It seems like regardless of how you store them, they always end up a tangled mess. 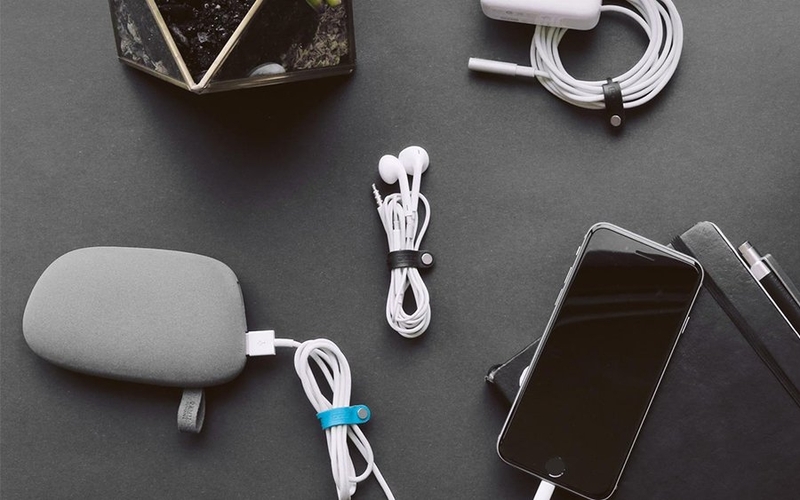 There are all sorts of tips and tricks for on-the-go cable management, but it’s hard to beat the simplicity of MACO’s magnetic cable organizers. Two neodymium magnets on either end secure the wires while they’re stowed away, but easily come apart when you need access to your cables. 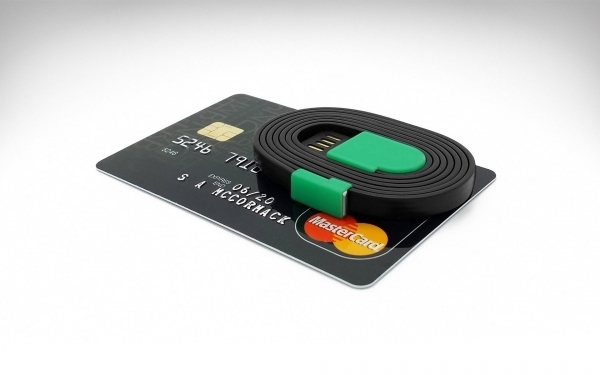 Unlike other organizers that just fold around the cable, these have a pass-through slit that lets you secure it in place before snapping the magnets together. 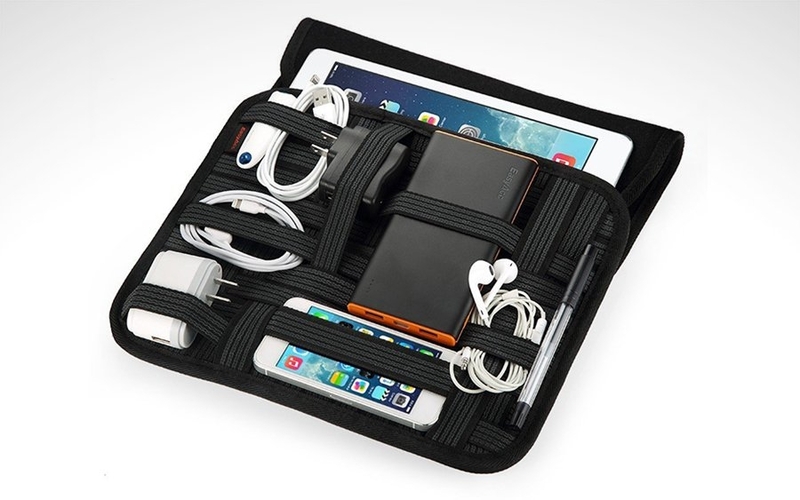 Even if you’ve got your cable management down, these MACO organizers can be useful in other ways as well. You can also use them to clip headphones to your shirt or anchor a pesky charging cable to your desk so they won’t fall to the floor the second you unplug your phone. Take back control of your cables and put an end to messy wires once and for all with these organizers, available at the link below. Whether they realize it or not, everyone that wears a watch is an EDCer. Having something that can easily tell you the time has been an essential tool for centuries, and new technology allows our watches to do more than ever before. 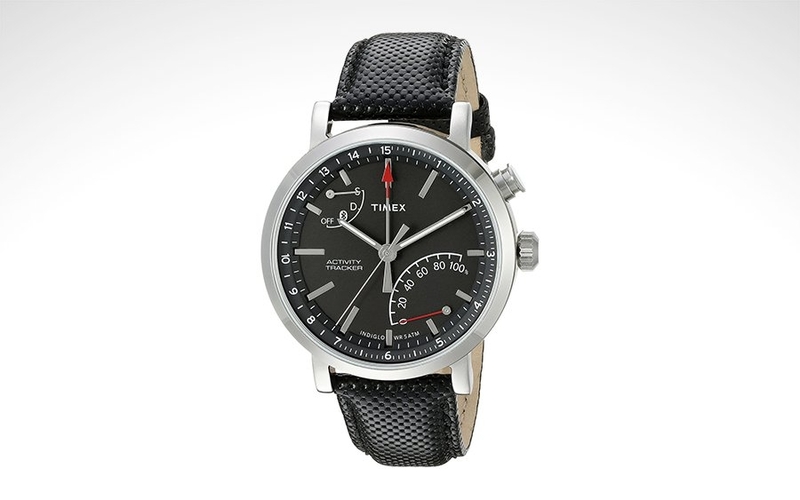 The Timex Metropolitan+ not only tells time, but also tracks your steps, distance, and calories burned. Activity information is available at a glance thanks to a fourth hand that shows how close you are to completing your goals. Unlike other trackers on the market, Timex used an analog design that doesn’t emphasize the fitness features of the watch. A 42mm brass casing rounds out the classic aesthetic, along with a replaceable leather watch band. The Metropolitan+ also features a backlight and water resistance for continuous use in less than ideal conditions. If you’re looking to keep track of your time as well as your fitness, check out the Metropolitan+ at the link below. Lose things a lot? Foursevens has a solution for you. Known for their quality flashlights with solid build quality, they've introduced what may be the toughest trackable out there. Made of stainless steel and ABS plastic, the Navi Smart combines a small light with a Bluetooth tracker. This makes it easy to find a lost item whether it’s nearby or completely out of sight. The companion app sends an alert to your phone when the gear in question (a backpack, camera bag, or anything else) falls out of range, reminding you to double back for it. The app will also pinpoint on a map where the app and tracker were last paired. As a backup light, the Navi Smart emits 2 lumens for up to 5 hours or a conservative 0.4 lumens for up to 20. This impressive moonlight mode preserves both night vision and battery life while giving off just enough light to illuminate the area. 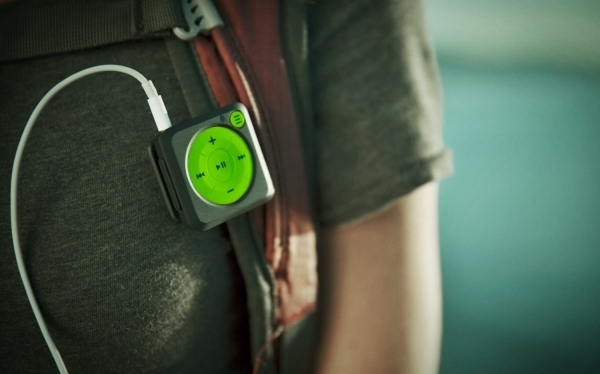 If you want that extra peace of mind for your most important gear, bag, or keys, consider picking up the Navi Smart.